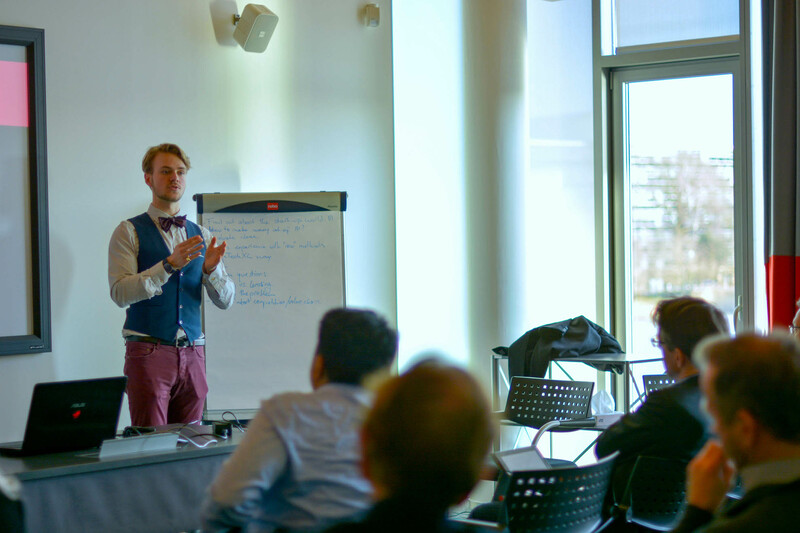 This article was originally published by Thibaut Decré based on the Roundtable Session he hosted at the Lean Startup Summit in Amsterdam 2018. Let’s face it, it’s a crazy world out there. Nobody really knows what to expect anymore. Everything moves at rocket speed, and radical disruptions are waiting around the corner for all industries. So what’s the solution you reach for? Innovation! That’s what everybody is doing, so it must be working. But what does it even mean? And how do you do it? Initial excitement of hackathons and sprints fades away quickly after they happen; projects always seem to get stuck in budget, risk or ownership discussions; and top management wants to see tangible results (preferably on the bottom-line). How is that possible? All the tools and frameworks available are absolutely valid. But what you’re facing is implementing cultural change and a radical one at that! To make it work it has to be aligned with your strategy, your vision, your why (cf. Simon Sinek). And this why has to be known, and more importantly, felt throughout your organization. Most people will only feel comfortable taking initiatives if they understand that it’s aligned with your vision. And that is only possible if it’s clear in words and actions of the leadership. No buzzword-y mission statements. People don’t remember long phrases; they remember concepts. That’s the biggest challenge: setting a course for the ship and making it visible on every level of the organization. Do that, and you empower everyone to push in the right direction. Ambiguity and sub-agendas will drastically decrease the engagement of the entire staff. However, if you know in which direction you're going, every step will bring you closer. Matching it with micro- and macro-market trends, opportunities and threats; setting tangible objectives for short- and long-term; executing by empowering ownership throughout all levels of your organization; and celebrating failure as well as success. This is extremely hard, and the learning curve is quite steep. That’s why using established methodologies is a very good idea. But use them in a way that helps you. Don’t let the process take over. Stick to the goal! Creating a culture of open entrepreneurship is difficult, because it will challenge established processes over and over. People will have to overcome failure and disappointment. But in the end, it’s always worth it. People completely open up and really pursue their dreams. And nothing -- absolutely nothing -- can replace passion. So, define a common and clear goal, and trust your people. You will be surprised every time. And please forget about bottom-up innovation. The whole organization should get involved, hands-on. That’s the only way people will believe it can actually happen. Can you imagine how powerful it is to see your CEO do client validation together with a sales rep, an IT tech and a HR manager? So buckle up, and enjoy the ride. Because it’s a long road for any organization. Actually, it never stops ... so better have fun doing it! Thibaut Decré is the Program Methodology & Tooling Lead at HIghTechXL. Over the past years he has contributed on every level of the organization. He has quickly learned how to apply the entrepreneurial way of working, both in start-up and in corporate, first by supporting ABN Amro in setting up their innovation funnel, then by organizing and leading a start-up and mixed corporate accelerator. He’s now in charge of the continuous improvement of the HighTechXL methodology. Interested in corporate innovation and lean startup methodology? At HighTechXL we've been working with corporates for the past three years supporting them to build their businesses. Find out here how we can help you take your company to the next level through innovation and entrepreneurship.